by Josep Lluís Mateo, Ed. ACTAR. Barcelona, 2009. Occasions seeks to understand it and to describe it as the product of an intelligence and a specific sensibility. Occasions points out that our work is always an opportunity to understand and establish active relations with the world. Occasions distinguishes between the various moments: initial, middle and end. The initial or imagined possibility. The ongoing effort in the middle, the art of ending with the requisite separation that gives way to a new beginning and ending. Occasions means enjoying the process, using it to improve the project. Occasions insists on the place and on the material as central moments that are confronted by the idea. Occasions notes, without mythification, the archaism underlying any architectural practice: making holes in the ground, erecting structures, covering, protecting. Our physical as well as our mental condition. Occasions speaks of the experience and the action as a sum of encounters with things, persons and ideas. These pages follow some of their traces. 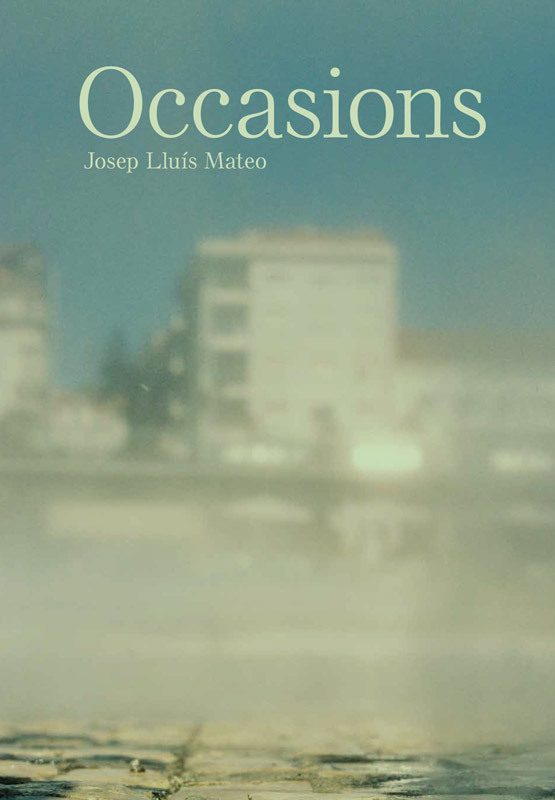 Occasions, despite its fragmentation and specificity, is not an inward-looking autobiographical chronicle. Occasions seeks to interact with what is outside it. Occasions operates on the basis of the statement that in the practice of architecture, ideas are produced and come together in action. They are not pre-existing principles (we like to look freely), nor are they justifications after the fact; Here, we seek to describe this simultaneous interaction.